Here is another roof tearoff and replacement of a roof in Kensington MD. The shingles are Certainteed Landmark, and the color is Cobblestone Gray. Sharing another project in Gaithersburg, Maryland. This was a complete tearoff and replacement of a townhouse. We found several sheets of rotted decking and replaced with proper fire retardant plywood. 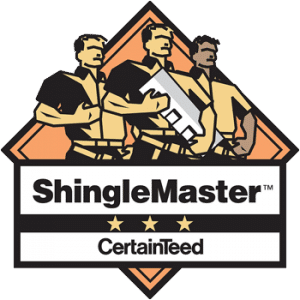 This shingle is Certainteed Xt25 three tab in Oakwood Brown Contact Dominion Roofing Co. for a free, no-obligation estimate on your next project today. Here is a recently completed job in Oakton. This particular project included tearoff of old Roofing, Siding and gutters. Installation of Certainteed xt25 year shingles and double 5 siding. New K-style gutters and downspouts. Job was completed in 2 days and turned out very nice.